The Olde Amish Inn Lancaster PA Hotel rooms are, equipped with most of the facilities. Like FREE WIFI Cable T.V. in room, Phones, Hair Dryer, Digital Alarm Clock with easy to read display at Night Time, Non Smoking Rooms, Individually controlled Heating and Air Conditioning, cable T.V, in room phones, Wake up Call Service, Refrigerator in some rooms. Luggage Stand, Space specially made for hanging your Coat and Clothes, Ice Bucket at Hotel Amish Country. By sitting into our Gazebo, Which is located right next to Amish Farm, will take you in Amish Country. Located next to Amish Farm for relaxing day and a good night sleep. We're also conveniently located near the nationally famous Sight and Sound Millennium theater just 5 minutes away. Strasburg Pa is just 8 minutes away where you can enjoy the elaborate miniatures of the Choo Choo Barn and the kids paradise Dutch Wonderland. Plan you're family's vacation today. Call for excellent group rates if you're visiting. Just a few miles to Lapps Restaurant, Millers Smorgasbord, Red Lobster, Quiznos Sub, Pizza Hut, Dominos Pizza, The Family Cupboard Restaurant and Buffet (Amish and Mennonite Home Cooking), Apple Bees, Wendys, Arbys, Texas road House Restaurant, Italian Villa Comedy Club and Restaurant. 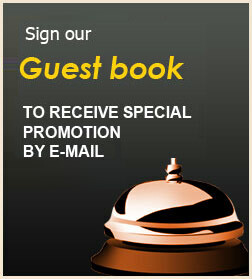 "interested in discounts for your hotel, or discount packages for attractions and lodging"